Surviving high school just got more complicated. 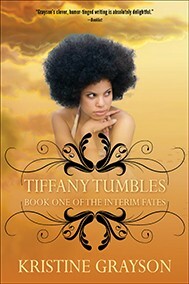 The Interim Fates series incorporates humor, magic, misunderstandings, and the central theme of finding one’s own identity—the core of the high school experience. The series has the long-distance relationships of Sisterhood of the Traveling Pants (only with more humor), the attitude of Confessions of a Teenage Drama Queen (but in a magical universe), and the extreme outsider viewpoint of Mean Girls (with less viciousness) all rolled into one. 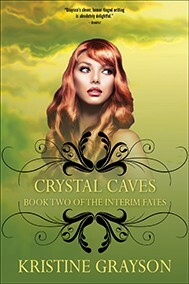 The three books—Tiffany Tumbles, Crystal Caves and Brittany Bends—tell the story of the Interim Fates—Tiffany, Crystal and Brittany—who were first introduced in Grayson’s bestselling Fates Trilogy (Simply Irresistible, Absolutely Captivated, Totally Spellbound). 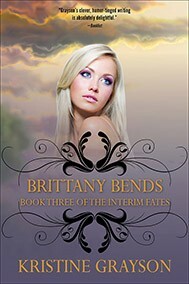 The three teenagers are now mortal and struggling to fit into a world without magic—and without each other.